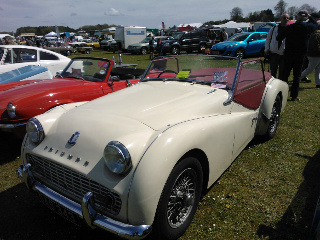 The Triumph TR3A sports car. 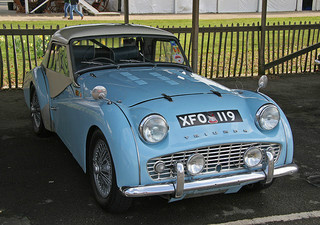 In 1957, the TR3A was introduced, being targeted, primarily, at the US market. 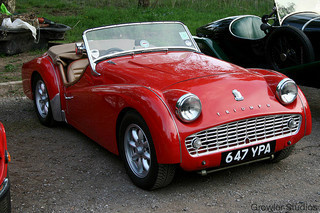 The TR2, TR3 and TR3A all used the same 1670 cc engine, with wet liners, from the Standard Vanguard and Ferguson tractor, which was bored out to 1991 cc. An interesting benefit of this was that, in farming communities, such as those in Australia, many of the engine parts were the same as those in the farms' Ferguson tractor. 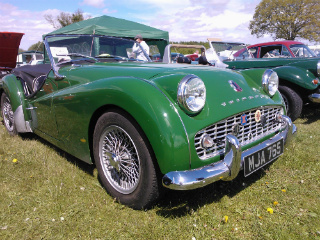 In 1956, the TR3 was the first production car to include disc brakes on the front wheels, and this feature was continued in the TR3A. 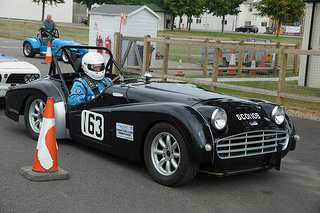 This made its breaking ability quite formidable, and as such increased its popularity on autocross circuits. 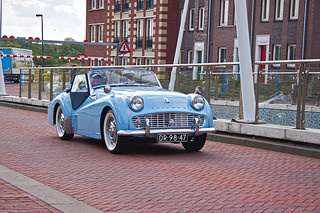 The designation "TR3A" was not officially sanctioned, and therefore the car did not display such a badge, nor was it referred to as such in any sales literature. 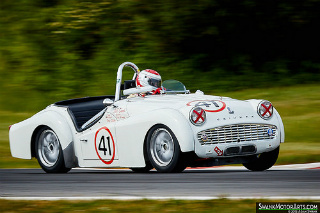 It had a reputation for reliability, and for this reason three TR3A's were entered into the 1960 Le Mans 24 hour race. Although they did not win, all three completed the race, and were placed in ninth, eleventh and fifteenth positions. 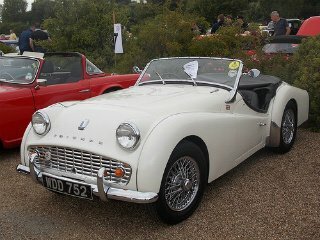 As with the TR3, the majority of TR3A's built were exported to the US (56,340), with only 1,896 for the UK market. 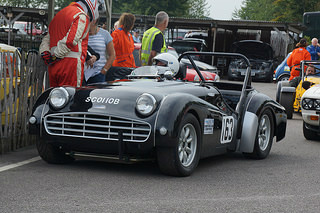 It is worth noting that the TR3A was the third best selling TR, behind the TR6 and TR7. This was probably influenced by the fact that, compared with the TR2 and TR3, it was, I feel, a much more attractive car in terms of visual appeal. 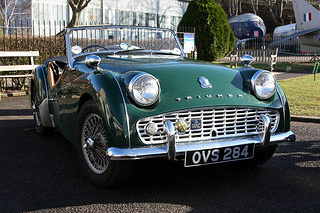 However, by the early 1960's, the TR2's and TR3's, with their exuding elegance from the 1930's, were beginning to look dated. 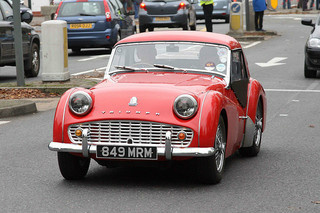 As for the TR, the all new, redesigned Triumph appeared in 1961 in the form of the TR4. The legend continued. 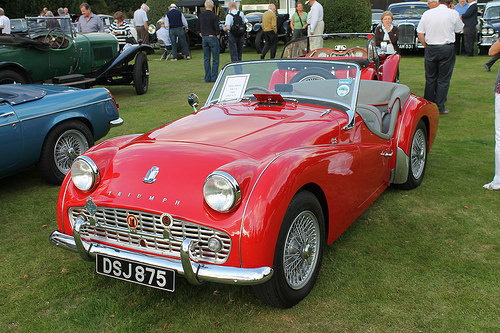 A 1957-62 Triumph TR3A, in very good condition, can fetch around £20,000/$32,000, whilst an example in excellent condition can command anything up to £30,000/$48,000.